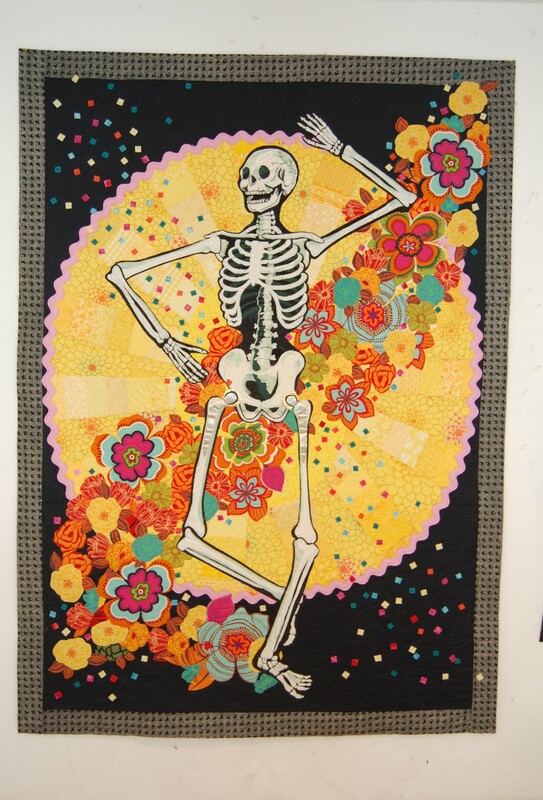 This entry was posted on September 27, 2010 at 5:07 am and is filed under art quilts, blue ribbon winner, Dia de los Muertos, fabric portraits, fiber art, Skeleton quilt. You can follow any responses to this entry through the RSS 2.0 feed. You can leave a response, or trackback from your own site. What a beautiful job. I am sure that you will have a very creative retirement. Ranell, I am so enthusiastic about your work! Love every piece posted here, and am thrilled to hear you have entries in major shows.